Having emerged as the leading contender to win the EWC Dunlop Independent Trophy just over halfway into the race on the Slovakia Ring, Völpker NRT48 Schubert Motors by ERC also won a superb duel in the closing stages. With Stefan Kerschbaumer, Jan Bühn and Julian Puffe riding, the German team’s BMW #48 was 5th past the finish line, snatching the Superstock victory from Yamaha Viltaïs Experiences – though the latter won the FIM EWC 2016-2017 World Cup after the final Superstock race of the season in Slovakia. 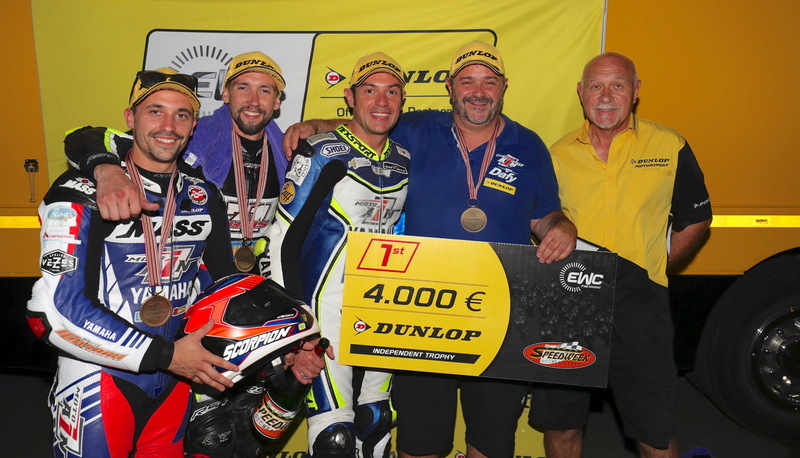 AM Moto Racing Compétition finished 11th overall and won the EWC Dunlop Independent Trophy’s €3,000 runner-up cash prize. Alexandre Ayer and Jonathan Hugot completed the race as a two-man team on the French squad’s Kawasaki ZX-10R. Another Kawasaki-mounted French team rounded off the EWC Dunlop Independent Trophy podium in Slovakia. 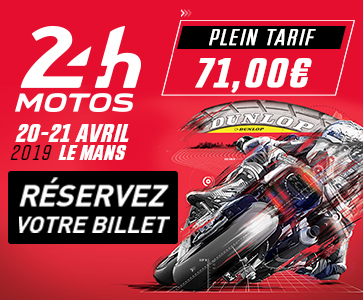 Tati Team Beaujolais Racing (Julien Enjolras, Dylan Buisson and Kevin Denis) finished 13th despite a crash early on in the race, pocketing the €2,700 cash prize awarded to the second-runner up in the EWC Dunlop Independent Trophy. The other prize-winners at the 8 Hours of Slovakia Ring were Poland’s Wójcik FHP YART Racing Team, French teams Moto 39 Compétition and Moto Ain CRT, and Slovakian squads Maco Racing 2 and Motomaxx Racing Team. 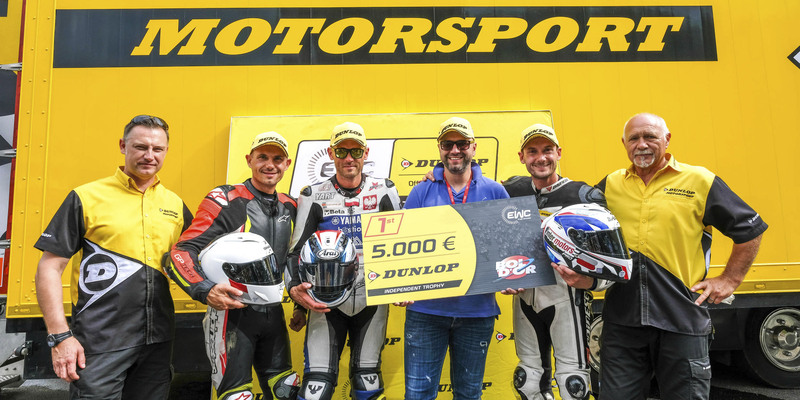 The EWC Dunlop Independent Trophy – renewed this season by FIM EWC promoter Eurosport Events, the organizers of individual FIM EWC races and tyre manufacturer Dunlop – gives backing to Dunlop-shod private teams that do not benefit from direct support from a manufacturer.